Moonroof, Navigation, Heated Seats, Keyless Start, Satellite Radio, Bluetooth, iPod/MP3 Input, Back-Up Camera, TOUCH-FREE POWER REAR DOOR, HEATED & VENTILATED FRONT SEATS, POWER TILT & SLIDE MOONROOF. EPA 27 MPG Hwy/20 MPG City! 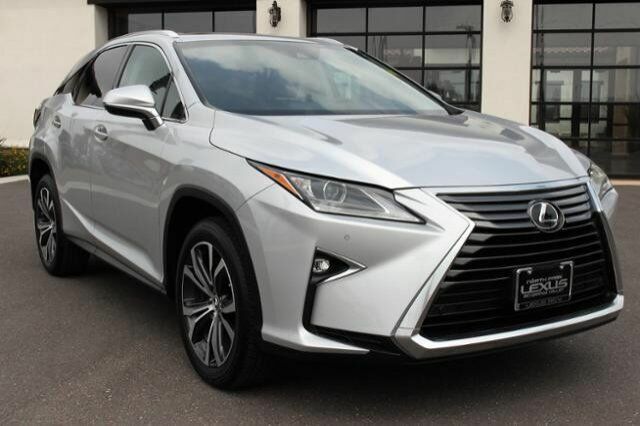 KBB.com explains "The new Lexus RX. delivers a smooth ride, quiet interior and legendary Lexus reliability. It also leads the class with traditionally high resale value. ".